No, code is not law. We discussed that before. But, code is used everywhere and somehow it must allude to law. But how, given that no software is bug-free? 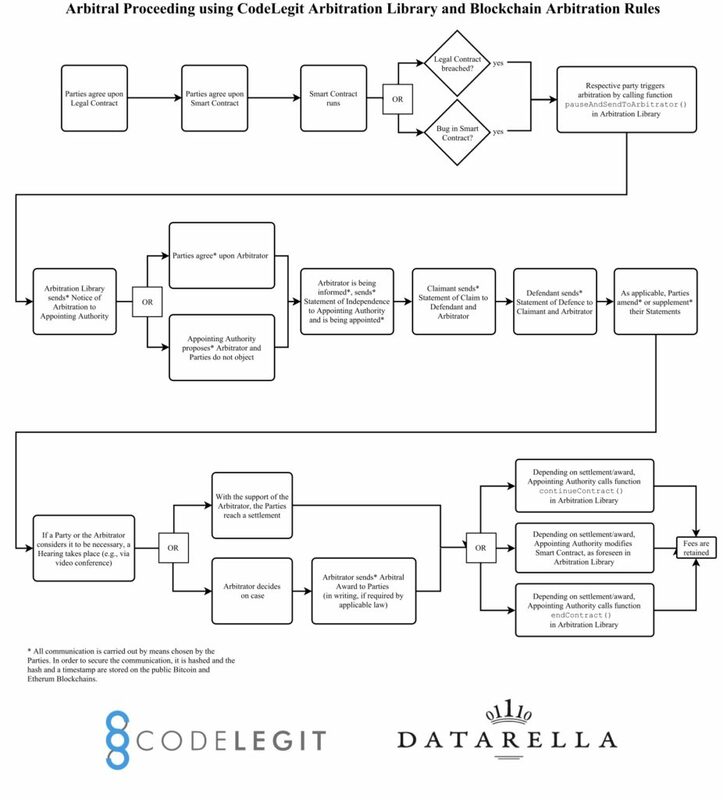 With our Datarella project CodeLegit, we have been working on a solution bridging the gap between code and law: Today we announce the successful conduct of the worldwide first arbitration proceeding using Smart Contracts on a Blockchain. For this showcase we used a very simple setting: Two parties agree on doing business that is defined in a Smart Contract. This Smart Contract includes our Arbitration Library. In parallel, both parties conclude a legal contract which includes a arbitration clause referencing the Blockchain Arbitration Rules. Our Smart Contract Arbitration Library allows to pause, resume, modify and end a Smart Contract. Additionally, the Arbitration Library connects the software with human beings acting as Arbitrators. Most of the process is automated, which maximizes the efficiency of a dispute. The Blockchain Arbitration Rules are rules the parties have agreed upon in their legal contract. They shall apply in case of a dispute. Those rules are based on the UNCITRAL Arbitration Rules and have been developed by us in cooperation with IT lawyer and Blockchain expert Dr. Markus Kaulartz. The advantages of the rules are, on one hand, speed, because they are tailored to working together with the Arbitration Library and all communication is done via e-mail or any other form of electronic communication and secured via hashes written in the Bitcoin and the public Ethereum Blockchain. On the other hand, the Blockchain Arbitration Rules shall attract arbitrators who are specialists both in legal and technical questions. In our example, one party which considers the other party to be in a breach of the legal contract pauses the execution of the Smart Contract by triggering a function pauseAndSendToArbitrator in the Arbitration Library. This function automatically notifies a so-called Appointing Authority defined in the Blockchain Arbitration Rules. The Appointing Authority then proposes an Arbitrator who reviews the statements of claim and defence, decides upon the case and finally delivers his arbiter award to the parties. According to the award, the Appointing Authority either resumes the Smart Contract, modifies its execution or ends it permanently, depending on the resolution. The arbitrator is paid with funds available in the Smart Contract in dispute. The integration of decisions by human beings – the arbitration, known from the offline world – transforms a false performance based on an erroneous piece of software – the Smart Contract – into a legally correct performance. At the same time, this kind of arbitration preserves all the advantages of Smart Contracts, because a dispute does not have to be brought before a state court, but can be solved by an expert arbitrator by modifying the performance. 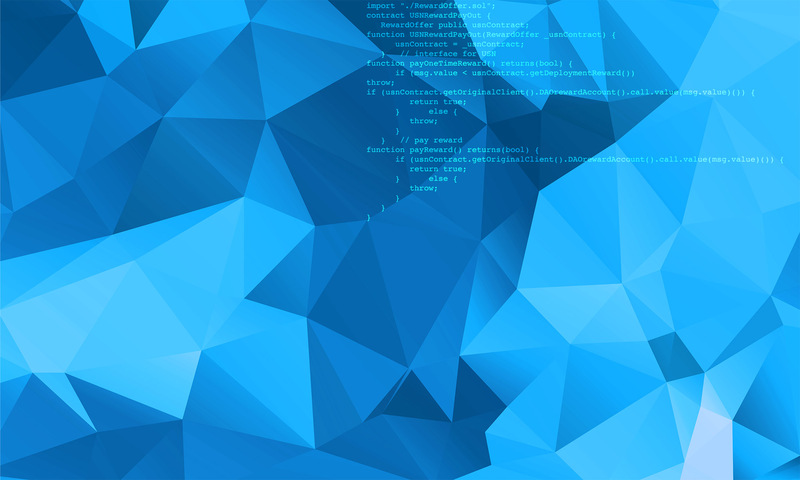 With this arbitration solution, CodeLegit demonstrates a feasible way how to reach compliance in case of erroneous software (do not forget: the more complex software is, the more bugs it contains). The next step will be to implement this solution into industrial Blockchain environments in order to establish the CodeLegit Arbitration Library on a broad basis in the technical compliance sphere.